Running a business means you are constantly concerned with providing the best products and services to your customers. That involves a heavy amount of research and implementing innovative strategies to stay ahead of the competition. It is important to ask yourself- have you considered a solution that will increase the benefits of all the programs you already use? You guessed it, I’m talking about digital signage. Digital signage ensures that your message is shown repeatedly when you want readers to receive it. When you take those same messages and transmit them onto visually appealing screens, the employees simply need to glance up to read them. Digital signage increases facility environment and creates brand awareness. It replaces dated posters and cluttered bulletin boards. In fact, half of present day companies are using digital signage to enhance internal communications. Using email to communicate is a tried method in all aspects of business, but how can you be sure that your audience is actually reading your messages? When employees feel connected they are more likely to represent your brand in a positive way. All businesses use some form of data analytics to capture performance insights. For digital signage users, that data reaches far beyond the meeting room. Integration technology gives you the ability to incorporate these data sources into their digital signage campaigns. Instead of creating charts, graphs, and emails to communicate any updates, users rely on their integration solution to do it for them. You already have a presence on Facebook, Twitter, and LinkedIn. 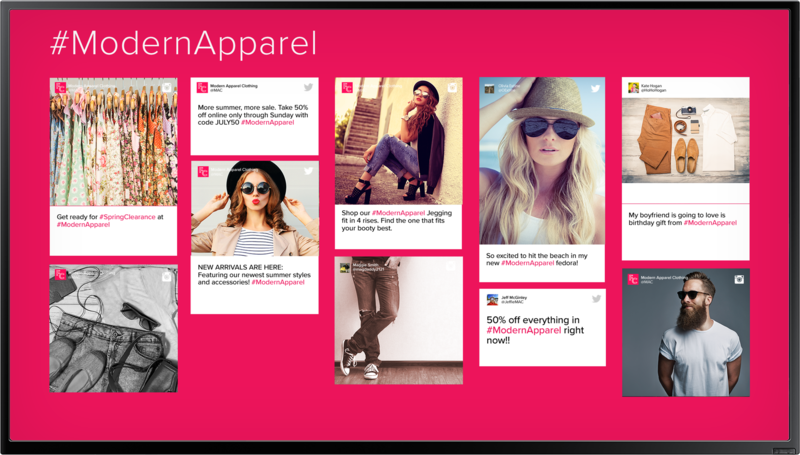 When social media content plays on your digital signage, viewers will be more inclined to engage in the message. Integrating digital signage with these sites is extremely advantageous for using User Generated Content. Employees will gain more pride in themselves and the company when they see brand advocate posts. You already have a plan of action for emergencies, but how do you alert the site when the plan needs to be executed? All companies need a medium to instantaneously broadcast emergency alerts since emergencies happen without warning. Anytime the system is triggered by the event of an emergency, the integration takes over the designated displays. The signs play an emergency alert and any relevant information, such as evacuation procedures. Do you have a cafeteria or a cafe on site? Do you use static, dated, often inaccurate menu boards? If so, you’re probably just annoying your customers. Integration technology updates the screens as you update your inventory on the computer. Digital signage gives customers a contemporary eating experience while effectively communicating their needs with the kitchen and staff. The content on the menus can be updated as often as needed through simple software integrations. Chances are you have some kind of waiting area on your site- whether its the lobby of a building, the waiting room of a doctor’s office, or the check out line in a retail store. Decrease perceived wait times for guests and customers by incorporating entertaining content onto the screens. News feeds and sports scores can add a light touch to mundane campaigns. Weather, menu, calendar information, and traffic cameras all become digital signage content with general integrations. You already have great data, marketing collateral, and communication efforts flowing through your company. Maximize the benefits of your digital signage with data tracking, social media posts, and entertaining information.